I’ve never quite understood a creative director’s pains until I saw the poster above (to the right). Make me a Jedi Warrior or even a stormtrooper; I don’t care. Just as long as you don’t show me another picture of person staring at an Intel logo! Today, people value experiences over possessions and would rather rent than own. Rather than ask people to change their mentalities, why not speak with words we listen to? When consumers are willing to pay per ticket for VR experiences but unwilling to try a full demo at the local Best Buy for free, something’s got to change! IMAX offers a once in a lifetime John Wick and Star Wars experience and The Void sparks my imagination by letting me a part of their Ghostbusters story ($29). Consumers have limited income. Every purchase limits their option to get other items. Note: replace TV with whatever you would spend $800* on (e.g. a computer or vacation). With the introduction of every Apple product, Steve Jobs compared the products to household items so everyone could understand the tangible benefits. In 2001, Steve Jobs announced that the iPod could hold your audio library (“1,000 songs in your pocket”) at a time when the CD player was struggling with 25 songs. 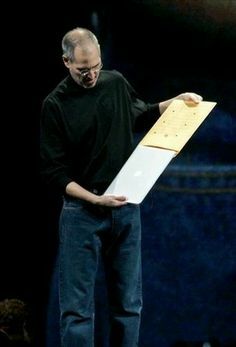 Likewise, when the “world’s thinnest notebook” (the MacBook Air) was announced in 2008, Jobs hid it in a Manila Envelop, something that every white-collar used in their office. For me, I see clear advantages for VR in the enterprise space: VR allows you to make & save boatloads of money (yes, boatloads!). Why should I pay $800+ for a device that is marginally better and has limited games that I can’t share with others? When Steve introduced the iPhone for the first time, he outlined major pitfalls with current devices like plastic keys and a “yucky” stylus. After Steve conveyed his frustrations the audience, they started to realize the compromises they’d been making at the time. Then, once the current limitations were established, Steve swooped in to save the day with Apple’s “Revolutionary UI” and talked about the benefits of contextual UIs. Thus he made the then popular phone manufacturers the antagonists (sorry BlackBerry!). Oculus and HTC can better outline the problems with current technology and outline improvements that VR will have on life (rather than using VR for better baby photos**). Steve Jobs undeniably a master story teller and influencer. 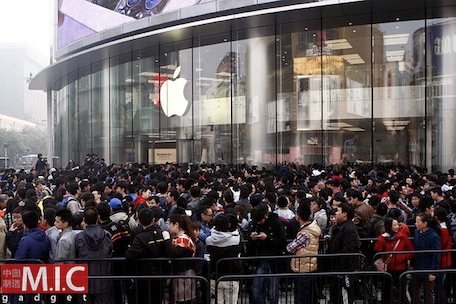 Apple Store line up. Source: F169BBS. I realize there’s a tendency for us (developers) to talk about features (like FOVs, 6DoF, FPS, etc) but these numbers mean very little to non-technical people. 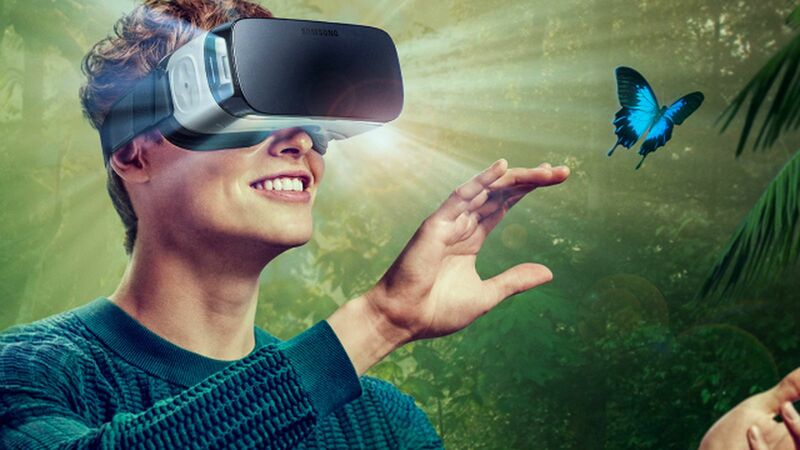 One thing Oculus can do a better job on is to invoke emotion with the presentations they make. When I talk to Creative Directors and Artists, I immediate realize that they use a wide vocabulary of Sense Words to stimulate emotion e.g. Steve loved to use words like “phenomenal” and “beautiful”. ** There are those of you that want higher quality/better baby photos and I apologize ahead of time! Want to ask an investor? If you’re interested in asking a VR investor questions or seeing their thoughts, please let me know through the Wufoo form below. Note: When we get 100 signups, I’ll ask a VR Investor your questions on a public live stream!